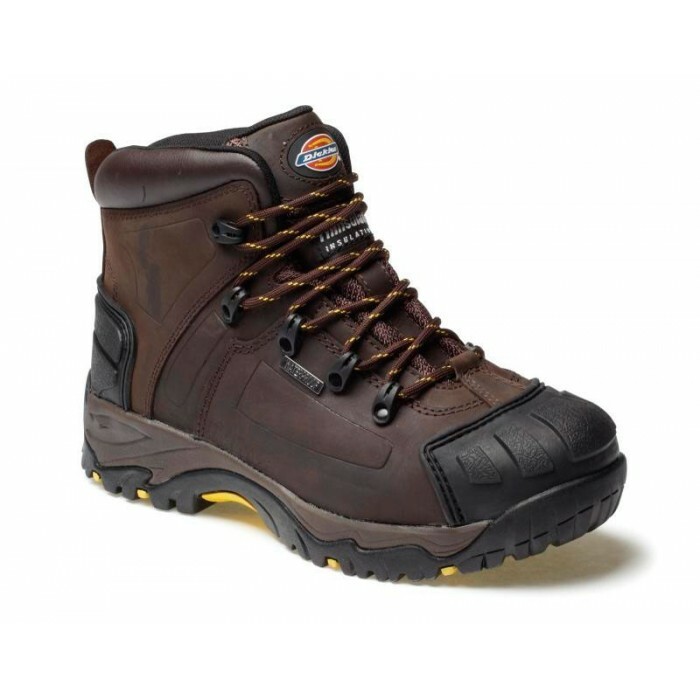 Medway Super Safety Hiker - a distinctive safety boot featuring the qualities that have contributed to Dickies reputation in this field of PPE: comfort, durability and protection. 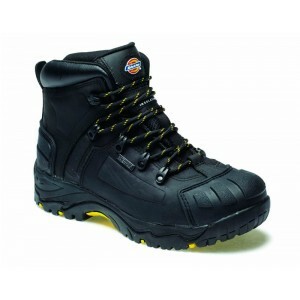 Steel top cap to EN20345 (200 joules), steel midsole for underfoot protection, waterproof membrane, thinsulate lining, scuff cap and heel guard, lace protector, sole slip resistance to SRA standard, antistatic and energy absorbent heel. Upper: Full grain waxy cow leather. Colours and Sizes - Black, brown - available in 6 to 11, 11.5 and 12. Normally dispatched in 1-2 days.